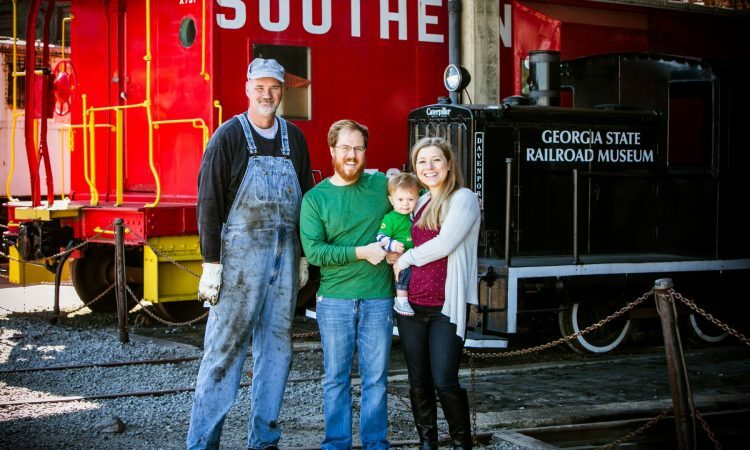 It is always a pleasure to photograph Travis, Tiffany and Finn – but what made this shoot even more special were two things: 1) Finn loves trains! Even at this young age – he was so excited to see them and climb on their rails. 2) we had a real live conductor come out and pose with us! It’s one of my favorite photos from their mini session because Finn’s face is genuinely happy. All I had to do was take the photo! We always have a great time with family photos – the session isn’t too long to get real smiles and the photos are always beautiful! Can’t wait to see where we will go next!